This week’s best articles about early learning from around the web – December 1, 2018 edition. New research suggests the kicks a mother feels from her unborn child are more than just little feet play. When a baby is kicking, they are learning and mapping their own body. This skill enables them to eventually explore their surroundings. The new findings are from University College London in collaboration with Elizabeth Garrett Anderson Obstetric Wing at UCL Hospital. 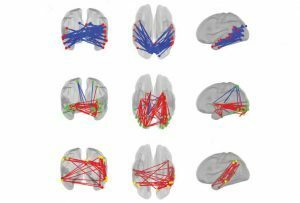 Scientists searched for links between patterns in the brain and types of repetitive behaviors: hand-flapping or spinning, rituals at specific times or places, restricted interests (trains, SpongeBob SquarePants) and self-injurious behaviors. When you become a parent, you start to speak another language: Parentese. It is believed to improve infant language. And it’s not exactly “baby talk”. Parents fluent in parentese talk slowly and clearly with exaggerated vowels and intonation. But mastering the true art of the language is not as easy as many think. A study conducted in the U.K. found that more than one in every ten employees working in nurseries have noticed the children they are watching utter curse words. In Indiana, many poor children in rural areas, children in foster care, and children aged birth to three-years-old don’t have access to high-quality preschools. Additionally, many families often don’t understand their choices. And for health care and social services agencies, connecting families with preschools is a challenge. To identify and address the gaps that lead to these issues, Indiana is applying for a nearly $10 million federal Preschool Development Grant. Child care centers are tasked with making tough choices. They balance state requirements with fair wages, competitive pricing and the costs of keeping their doors open. The recent Early Learning Indiana study provides some insight into the challenges and the economic impact.